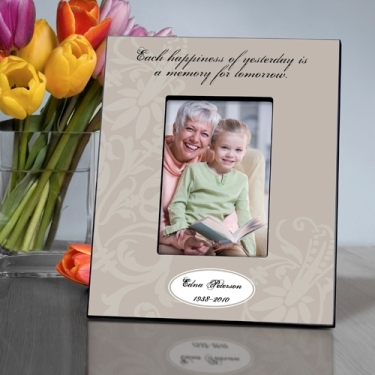 This Memorial Picture Frame is suitable for any decor or occasion with it's beautiful soft pewter background. The frame measures 8" x 10" and holds a 4" x 6" photo. The first line can be personalized up to 20 characters, and the second line up to 15.